Since 15 December, there have been no news about the 61-year-old Laotian activist. CCTV camera shows police officers stopping and taking him away in a pickup. The government denies this version of events, a claim a group of MEPs describes as "ridiculous lies." Fears are growing about the fate of the 2005 Asian Nobel winner. Vientiane (AsiaNews/Agencies) - There is growing international pressure on the Laotian government, accused of involvement in the disappearance of 61-year-old Laotian activist Sombath Somphone, whose fate remains unknown since the evening of 15 December 2012. A group of parliamentarians from the European Union has accused Laotian Communist leaders of telling "ridiculous lies" in relation to the issue. The case however has raised awareness about human rights violations in Laos, an isolated country that is rarely mentioned in world mainstream media, at a time when the authorities have tightened controls on media and on the activities of members of civil society. 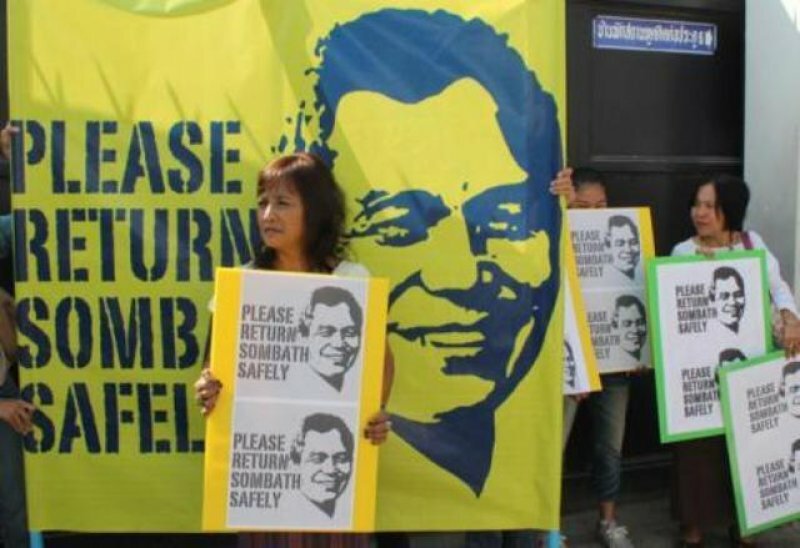 Nearly nine months since his disappearance, nothing is known about Sombath Somphone's fate. Despite their best efforts, human rights groups and three separate EU delegations have failed to get more out of Vientiane. As in previous occasions, the latest attempt elicited a terse response from the Asian country's Communist leaders who, after noting the lack of progress in finding him, simply turned down an offer for technical help in the search. Speaking about the meeting, the Danish head of the delegation, Soren Bo Sondergard, said that Laotian authorities were in denial and at times told them "ridiculous lies". Activists and humanitarian workers believe the activist was picked up by men linked to the security agencies for the role he played at last October's meeting of the Asia-Europe People's Forum (AEPF) in Vientiane, a venue that provided room for political and social openness unthinkable in a nation in which society and public debate are closely monitored by the authorities. Local sources noted that the leaders of the Laotian People's Revolutionary Party have begun a smear campaign against the activist to curb his political and social influence in the population. To back this claim, Laotian authorities said that his disappearance might be linked to personal problems or a disagreement in business or some other reason, denying any political or government ramifications. Born on 17 February 1952 in Khammouan Province, Sombath Somphone is a well-known Laotian activist, educator and environmentalist with an international reputation for his work on behalf of farming communities. This has earned him an important place in civil society. After studying in the United States, he came home to devote himself to sustainable farming systems and food security. His work won him the Ramon Magsaysay Award in 2005, a prize also known as the "Asian Nobel". On the evening of 15 December 2012, the activist was abducted as he was driving in the capital of Vientiane. Images captured by a CCTV camera show someone who looks like Sombath Somphone stopped and taken away by police on a pick-up, a claim rejected by Communist authorities, which have ruled Laos since 1975. Since then, there have been no news about him.